Collectors in any field manifest a passion for what they pursue. They will have stories related to the items they most fervently seek, the Holy Grails, the Maltese Falcons, the rare 7-inch record given out at one particular show. And unlike fish stories, these epic yarns for collectors usually describe the ones they got, not the ones that got away. 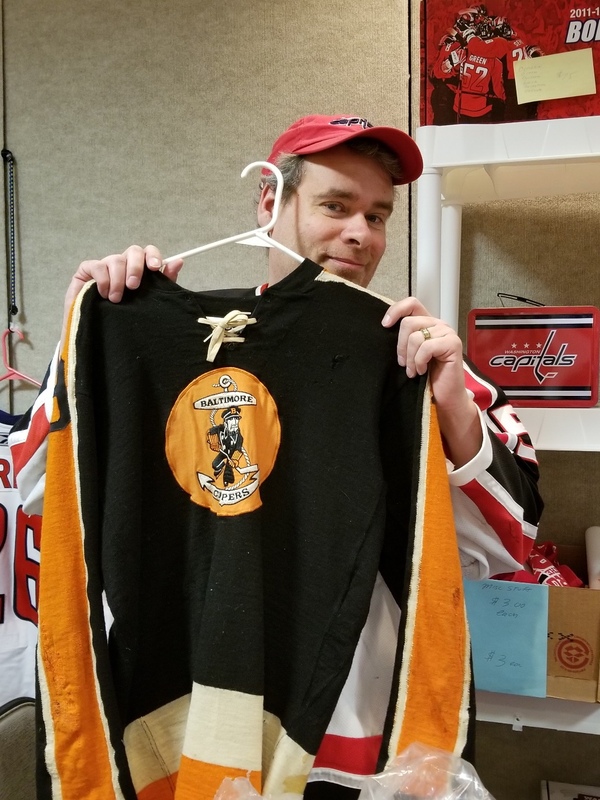 In the hockey collecting world, at the Holiday Inn in Sterling, Va. on March 16, these epic tales went well beyond the thrill of the chase and the catch. 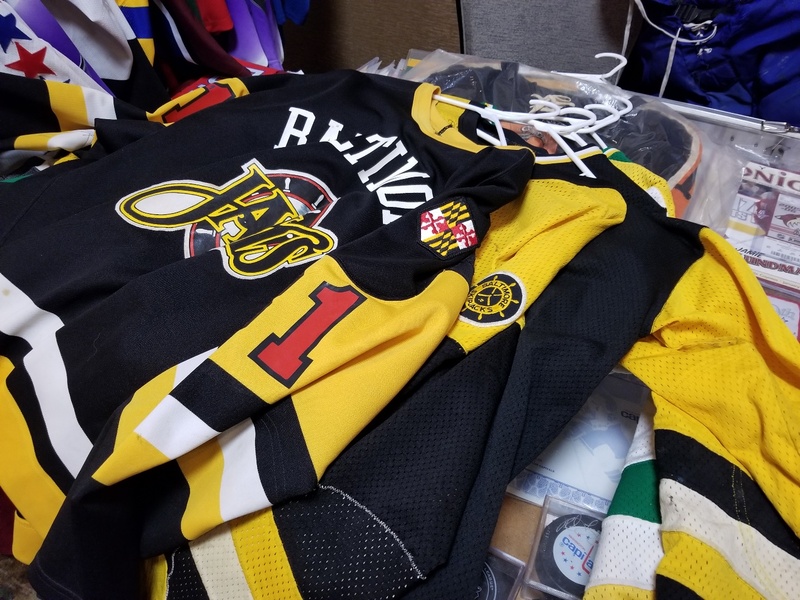 Collectors exhibiting at and attending the 13th annual NoVa Game Worn Jersey Expo told collecting stories that almost always went back to a love of the game and a desire to connect to players or time periods that brought them unsurpassing joy. 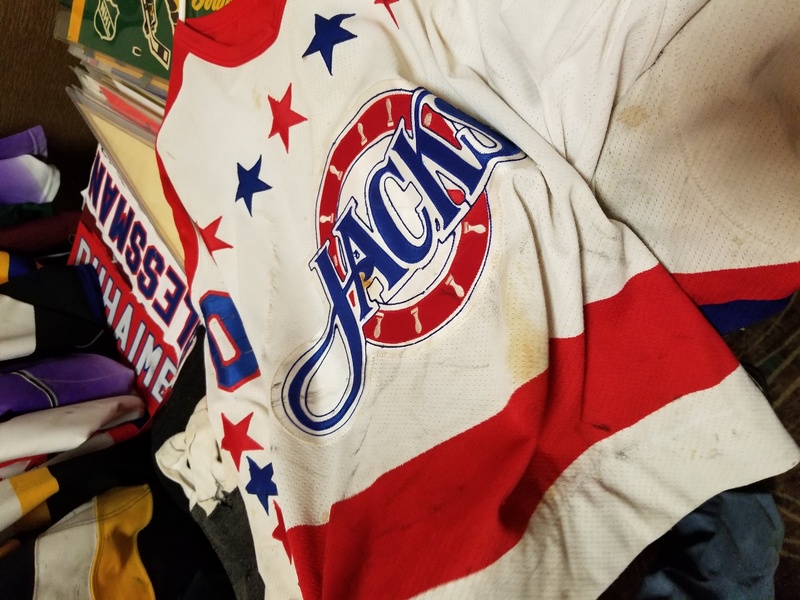 For exhibitor and life-long Philadelphia Flyer fan George Arbocus, an intimidating childhood interaction with the legendary Bernie Parent fuels his jersey search. “I met him when I was 9-years old, and he yelled at me because I wouldn’t look at him,” Arbocus said. He details the entire interaction in this video. The most expensive or rarest item mattered less to most collectors than the most meaningful one. 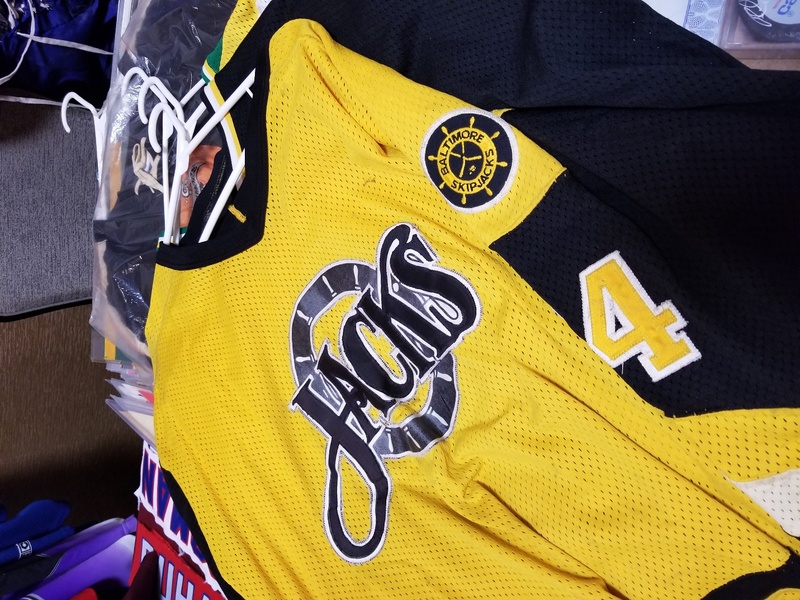 Dedicated Bruin fan Francis W. Rady, who first organized the event 13 years ago with just six other enthusiasts, talked a bit about his Don Sweeney collection of about 60 jerseys from 1988 to 2003 and other items as well as his family’s connections to the sport. 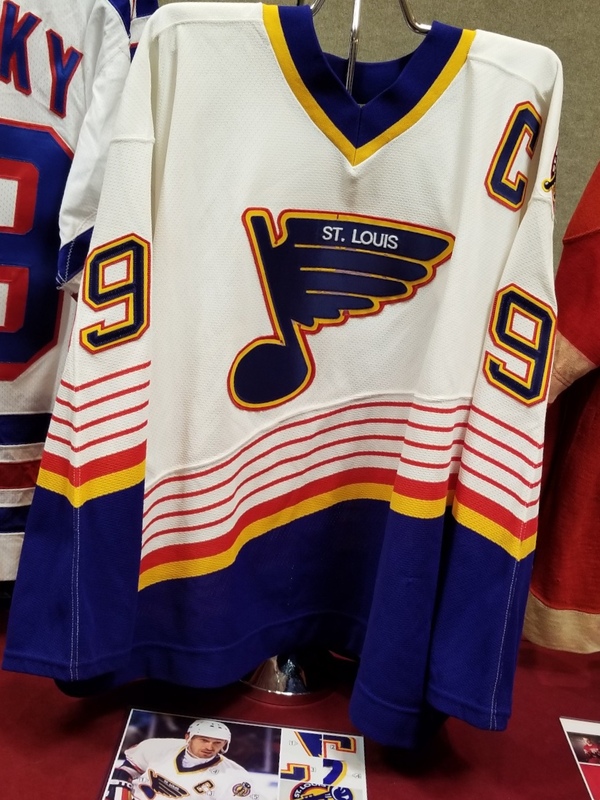 Attendees did and could buy many amazing and rare items, such as the Wayne Gretzky, Gordie Howe, and Alexander Ovechkin jerseys pictured below that each cost much more than a year’s wages in most professions. But the big expensive score also seemed beside the point. 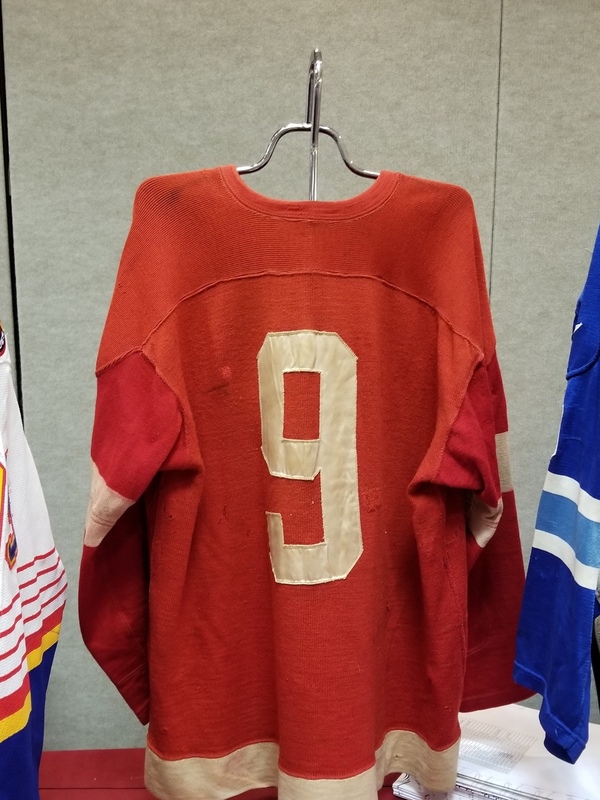 Those interested in hockey’s history could benefit from attending this event, which could be renamed the “Game-Worn Jersey and Mobile Museum” because of the encyclopedic hockey knowledge of many collectors. 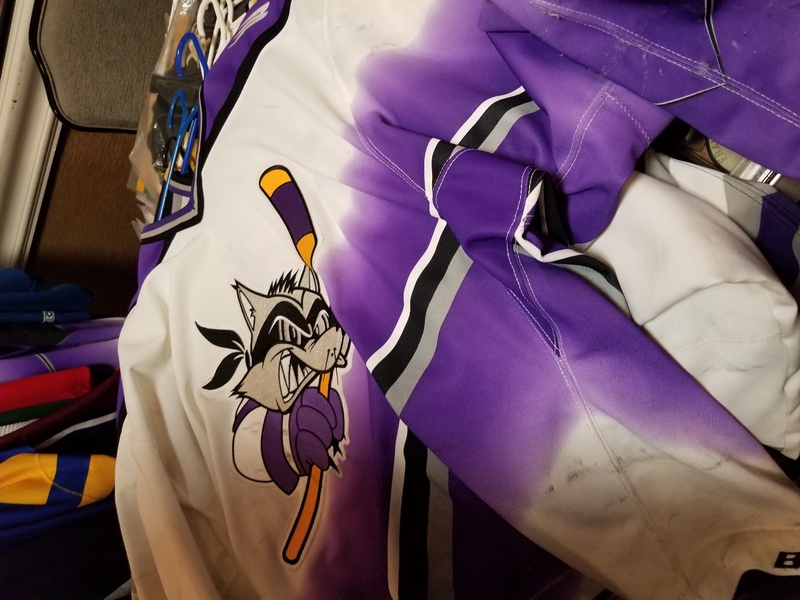 You could learn about current players gear customizations as well. 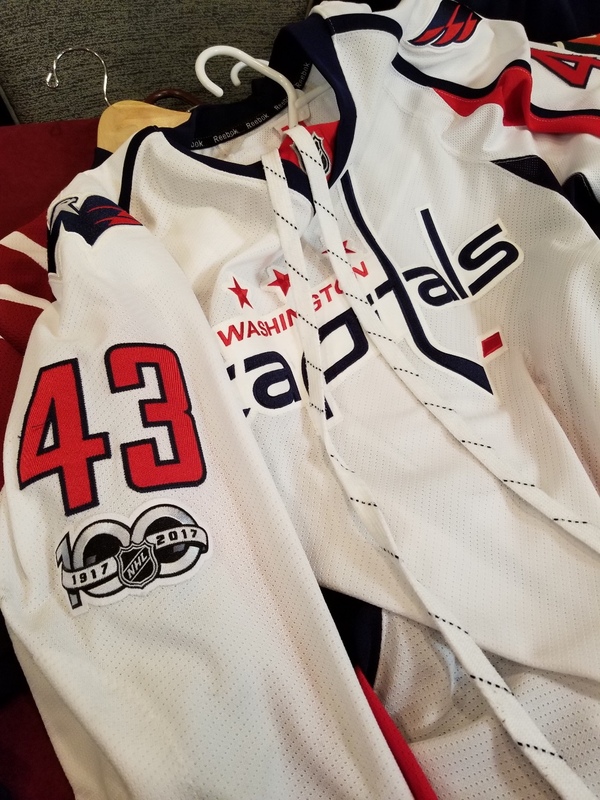 Scott Linn’s prized Winter Classic Alexander Ovechkin jersey shows interior straps and his Tom Wilson jersey includes strings to keep the jersey in place during fights. Family member edicts to return with fewer items played a part in several trades. 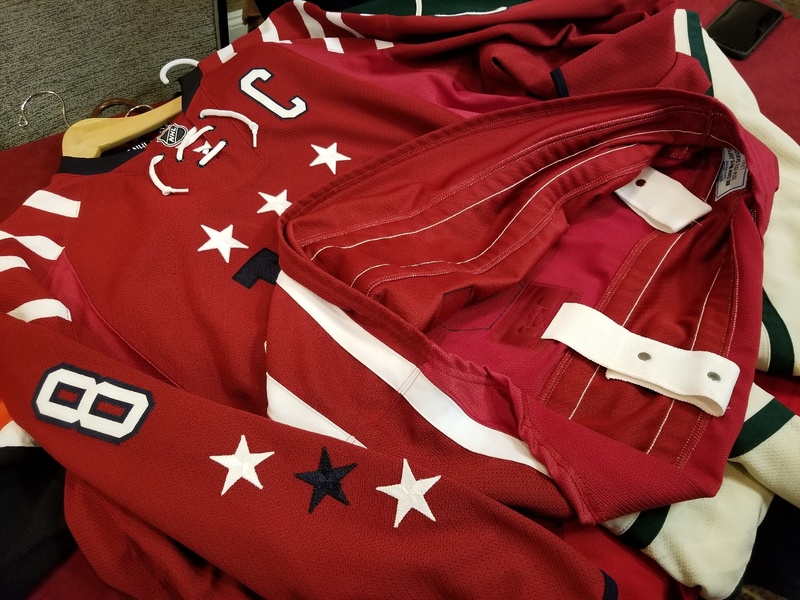 Coleman’s success in eliminating elements of his collection involved a big sacrifice, a vintage Baltimore jersey in exchange for a very rare glimpse into one of the Capitals’ early uniform malfunctions: white pants. This year’s exhibitors came from Alabama, Illinois, Massachusetts, Pennsylvania, UK, New Jersey, Maryland, Virginia, Delaware, and California. Any who managed to leave with fewer items than when they arrived definitely had more stories to tell. 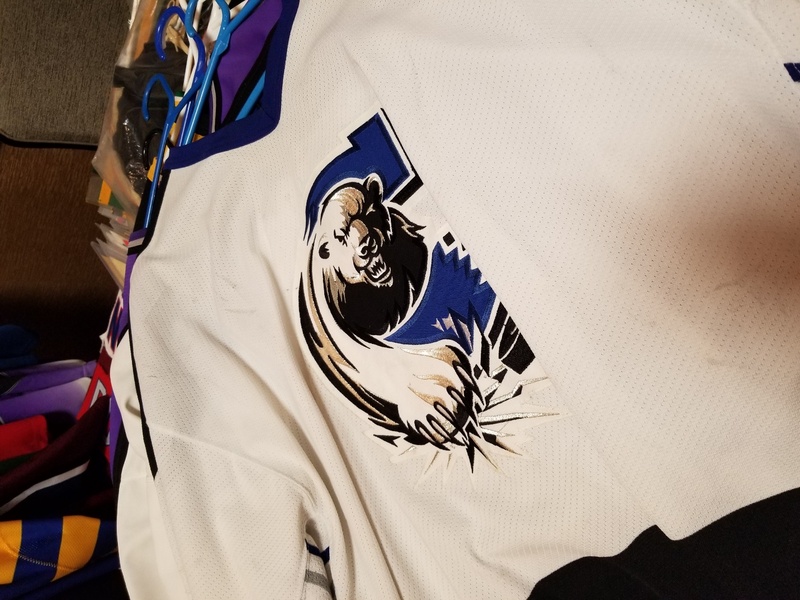 This entry was posted in Memorabilia, News and tagged Julia Goodwin, Northern Virginia Game Worn Jersey Expo. Bookmark the permalink. Great article. 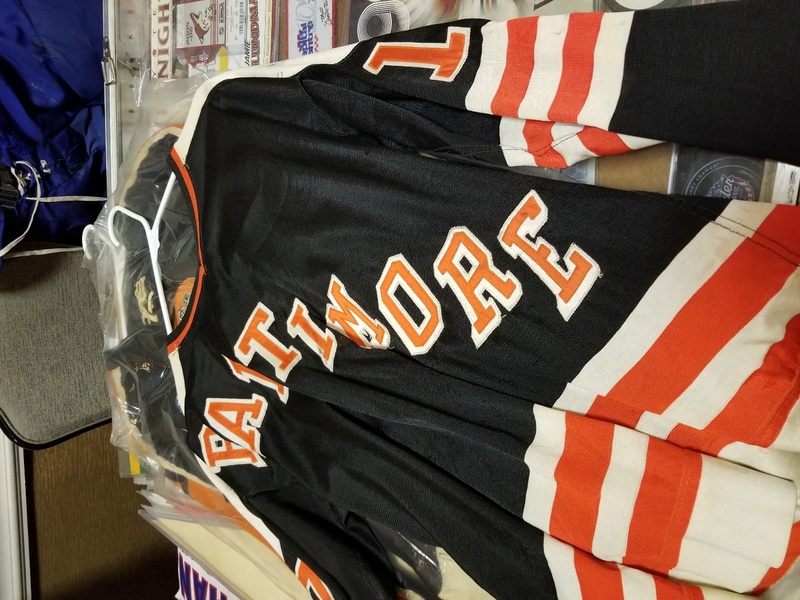 Man thats a great collection all that Baltimore Hockey History. 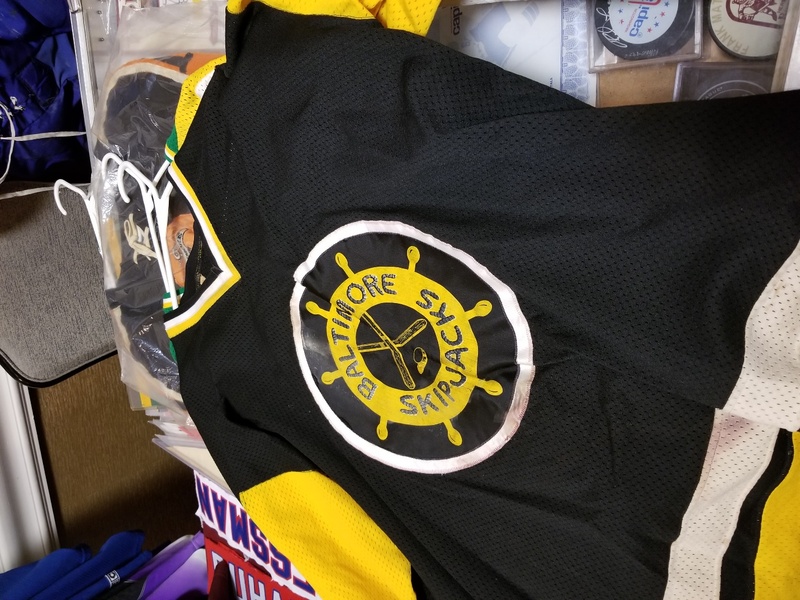 Sometimes people who dont know anything forget just how deep hockey is rooted here in Baltimore. Great article and interviews. A pleasure to be a part of this Expo. 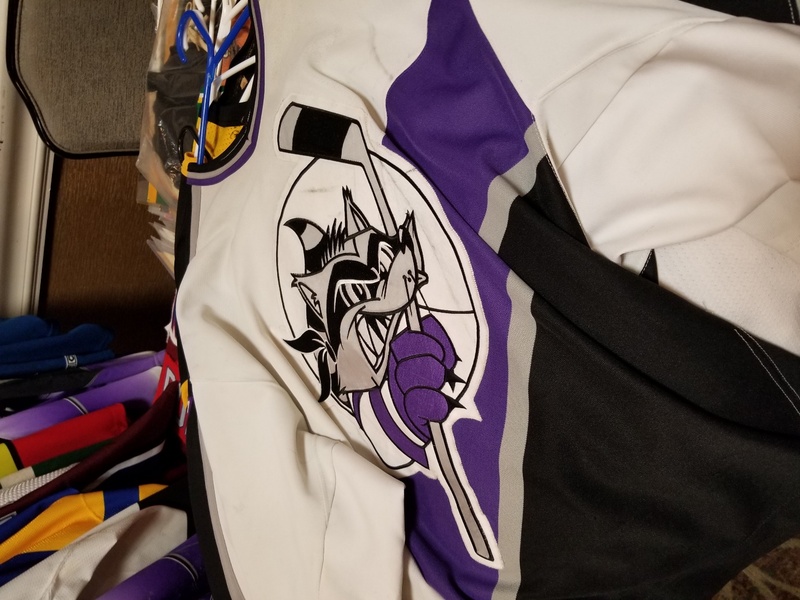 Yes indeed the memories are great and much appreciated since I’m from Baltimore and was in the Baltimore Civic Center to witness many of the minor league hockey games. But it’s time for the Capitals to get serious and start playing an outstanding brand of hockey so they can repeat as Stanley Cup Champions. 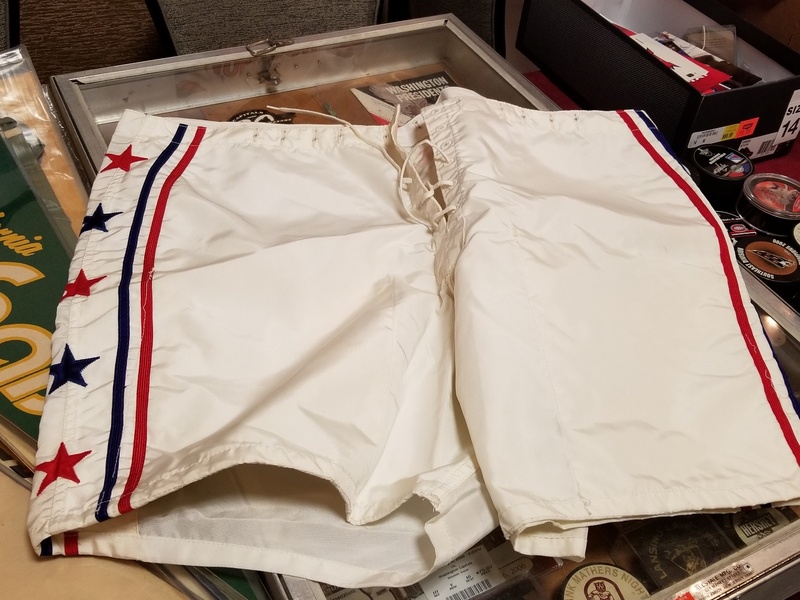 The white pants are epic!